Venture X is a shared office space franchise, playing on the massive success of WeWork. Venture X offers collaborative, inspiring and stimulating co-working environments to help impress clients and achieve success. 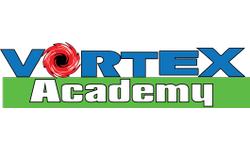 Vortex Academy is an extracurricular program for kids ages 4 and up. After school and summer camp programs include martial arts, acrobatic gymnastics, parkour, and hip hop dance to develop well rounded life skills.Vortex focuses on physical, mental, and spiritual fitness through a unique mindset-based curriculum. V2K Window décor and More is a virtual window fashion store, utilizing a proprietary graphic software product to display to customers their walls and windows 100% to scale. Allowing employees to adjust, redraw, and rough estimate a price instantly, no matter how elaborate the treatment. Franchisees may work from home or a storefront and has to opportunity to work by themselves or with an employee. V2K storefronts offer replacement windows, energy efficient windows, double pane and custom windows as well as drapery and other window treatment. VacuVent™ is a leader in the residential/commercial duct and vent cleaning industry. Our commitment to clean air has been our vision since we started our company. We air scrub the duct system using negative air, 2000 to 2500 cubic feet per minute air flow. This is a very safe and up to date method. It will not damage, disconnect or tear the duct system. Any contaminants or particles coming from your duct system such as dead bugs, dust, pollen, mold spores, fungus, animal dander or original construction dust if they've never been cleaned before, goes directly from your system to ours through contamination level filters. Nothing goes back into the home or air, we take it all away with us It's a very safe and clean process. VALCOR Licensees save businesses. You can provide Business Debt Restructuring, Mediation and Capital Acquisition to businesses that need your services now. Have the benefit of over 50 years combined experience and proven systems through our comprehensive start-up training program. Valcors time proven systems can provide you the ability to help companies in your local community Become a certified Business Debt Restructuring, Capital Acquisition and Mediation Consultant trained by experts with over 50 years combined experience. Valpak Direct Marking Systems, Inc. is a direct marketing company owned and operated by Cox Target Media, Inc. Through a network of nearly 160 franchises in the U.S. and Canada, Valpak provides businesses with print and digital advertising solutions. A Valu franchise is an opportunity to meet the ever increasing demand for quality automotive repairs and services. There are several successful establishments operating nationally that offer some level of specialty automotive maintenance and repair and there are perhaps thousands of dealer, garage and backyard mechanics. Valu is unique because of our low cost discount concept which these other establishments cannot match. Today, senior management teams are aggressively seeking outside, knowledgeable advisors to drive their business growth to greater levels. Through our tested analysis tools, copyrighted methodologies and client engagement programs, you can help them succeed both professionally and personally. At Value Forward business consulting, we're focused on helping you become successful. Through our pre-developed training programs, unique marketing models, and one to one licensee support, we provide you with proven and executive team management programs that have been delivered worldwide since 2001. There has never been a more effective, or affordable way to control termites and insects and rodents in homes than with our exclusive ValuePest® System. Our independent franchise owners profit by developing, long-term routes of reoccurring cashflow. Vanguard Cleaning Systems is a company that provides corporate cleaning services in 38 states and Canada. The company cleans offices and businesses for small, mid-sized and large companies. Vanguard Cleaning Systems provides office cleaning services, as well as carpet cleaning, hard wood floor care, window washing and power washing. International companies like Amazon, Coca Cola and Toyota have used their commercial janitorial services. The San Mateo, California based company has over 2,500 locations who collectively serve over 10,000 commercial accounts. Van Houtte Cafes serve coffee blends and a wide variety of espresso-based beverages, featuring the choicest beans roasted according to traditional European methods. Cafes also offer an array of pastries, salads, sandwiches and small platters all prepared with the freshest ingredients. A market leader in its category since 1976, Van Houtte accurately responds to the trends of its core clientele. New design, new products, new marketing and merchandising concepts - if franchisees pursue this franchise opportunity, their customers will continually be stimulated by what they have in store. Vanishing Veins is a branded program created to provide a turn-key solution for physicians interested in establishing or enhancing a successful vein practice and becoming the vein treatment leader in their area. Vanishing Veins has reset the standard for vein practices. The industry leading trainers at Vanishing Veins provide operational and clinical instruction to ensure all patients receive the highest standard of care. Vapiano is a fast casual restaurant with a twist: customers use a ‘chip card’ to personally order their food and drinks from the bar or from the individual fresh pizza, pasta or salad stations. This new, innovative ordering technology is changing the way restaurants do business. Vapiano is defining the future of fresh casual. The restaurant brand is European concept serving made-to-order hand-tossed pizzas, fresh, house-made pasta and hand-tossed gourmet salads. Vapiano puts a new spin on the dining experience with its urban upscale Italian décor and its modern customer service. If you love the European lifestyle, you’ll love Vapiano. If you're searching for a way to get your foot in the door in this fast-growing industry, why not consider a vapor shop franchise with VaporFi™ and the International Vapor Group? Our company manufactures the most durable VaporFi™ e-cigarette devices on the market. Vaporized has been a family-run company since 2012, and is now the largest high-street retailer of e-cigarettes. With 20+ owned stores and 18 licensed stores we are well placed on how to advise you and set your business up! Over the past few years the vapor (e-cigarette) industry has been experiencing phenomenal growth with new vapor shops opening up throughout the United States. Come Join the Team with Vapor Maven and start your Own business today. Looking for executive level partners! Are you a strategic, motivated leader with the desire to create and drive change for your clients? Velocity Franchise gives you the tools and personalized training to help grow your consulting business, generate repeatable revenue, and scale without sacrificing your schedule. Velocity Sports Performance is a franchisor of sports performance training centers. The company primarily trains competitive athletes aged 8 to 21, as well as a large number of collegiate and pro athletes in virtually every sport. Adult fitness is also available in many locations. Velocity was founded in 1999 by world-renowned coach Loren Seagrave, a five-time NCAA champion coach who trains Olympic, professional, and college athletes. Vending for a Cause™ is the best way to generate more revenue while getting your return on investment in less than 9 months. Vending for a Cause™ is one of the best ways to achieve a running, viable, and profitable business. It takes at least a year for most businesses to start showing a profit. The only way you won't get your investment back is if you don't locate your displays in businesses! We will help you all along the way to make sure this doesn't happen. Vending Plus Systems Incorporated is the United States only multi-dynamic comprehensive profit center that has merges the vending of two products that sell into the billions of dollars each and every year: M&M's by Mars and York Peppermint Patties by Hershey's. This combined with our business and vacation center represents the biggest and best winning recipe for success.